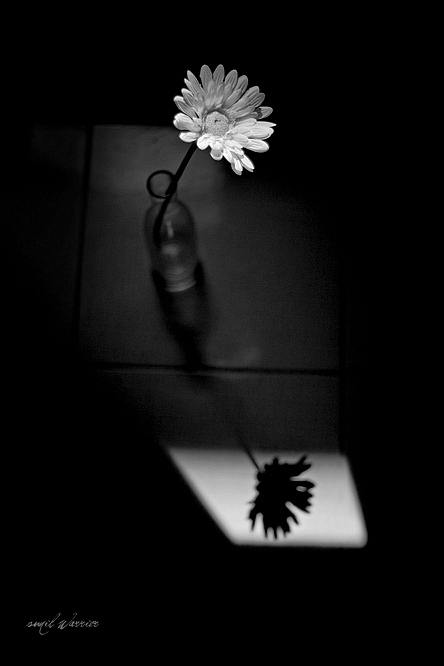 a white flower with black shadow!!! the only thing I dislike in this pic is the corner of the table (near the bottle), rest is perfect ! thank you very much for all the comments!